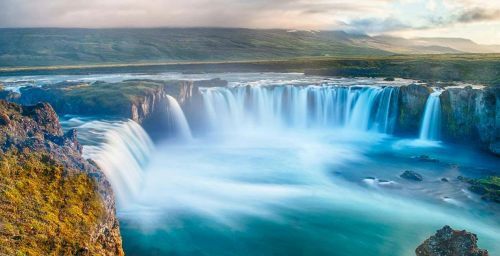 WOW Air has dropped some of their May, June, and September 2016 flights from Toronto to Reykjavik, Iceland down to $338 CAD roundtrip including taxes. Although with WOW Air, one should probably think of it as $458 CAD roundtrip with 1 checked bag, as WOW Air does not include any luggage in their prices. And $578 CAD to make a fair comparison against their only competitor, Icelandair (who includes 2 checked bags). Don't be fooled by WOW Air's strategy of luring people in with prices that can look more amazing than they really are. It can still be an amazing deal for someone that travels light, but with more luggage, the price can escalate quickly. With 1 piece of luggage it's still a very good price for the second-best months to travel to Iceland (with July/August arguably being the most ideal). With 2 pieces of luggage it starts to become just an 'ok' price. No Responses to "Toronto to Reykjavik, Iceland - $338 CAD roundtrip including taxes (sort of)"